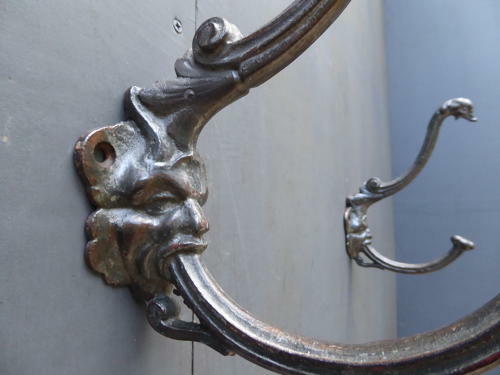 A fantastic pair of grotesque, oversized antique cast iron coat hooks. A wonderful pair of figural coat / hat hooks, the lower hooks protruding from the subjects mouth & the upper terminating in a swans head. Very unusual with exceptional casting with an beautiful age related patina.